It was easily one of the riskiest things I’ve ever done. I had been to the island once before around 10 years prior, and all I remember was my sister crying on the walk up to the Grand Hotel. Somehow, the ad on CoolWorks still drew me in. CoolWorks is a website I had never used before and none of my friends had ever even heard of it. I decided to trust it and send a few applications out. I got offered a waitstaff job in the 1852 Grill Room at The Island House and decided to throw caution to the wind and embrace adventure. I booked the 20-hour bus ticket, bought a bike, packed one duffel bag and a backpack, and set off for an island in Michigan where I knew nothing and no one. Was I scared? Absolutely! Am I glad I did it? ABSOLUTELY! I loved it so much I went back for round 2 the next summer! It was EASILY one of the best decisions I’ve ever made. I lived, worked, and played with some of the greatest people, who went from strangers to family in a matter of weeks. The island is small at only 8 miles around, but I don’t think I could get bored with it even if I spent 100 summers there. 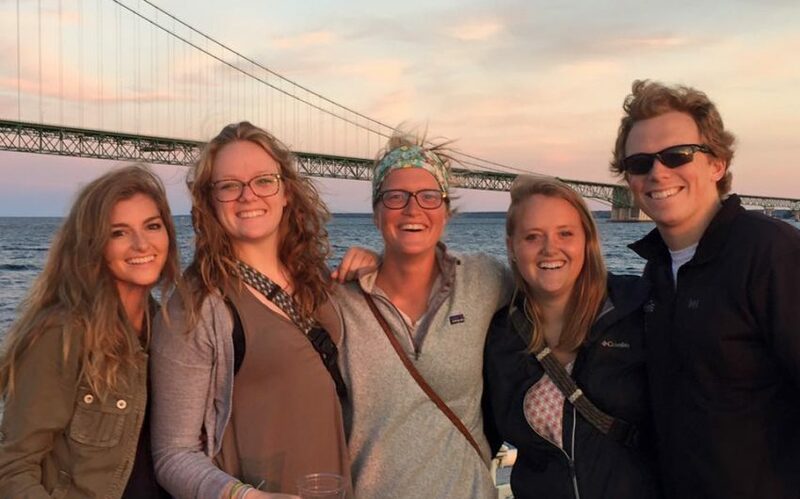 We filled our days with adventures, bike riding, floating in gorgeous Lake Huron, exploring trails, eating Mackinac Island fudge and ice cream, and hammocking – lots of hammocking! Mackinac Island is so beautiful you honestly feel like you are living in a postcard every day. Everyone thought I was crazy for moving away to such a strange place all by myself for a summer, but honestly, they are crazy for not coming with me! To anyone who is scared of taking that leap out of their comfort zone to apply for a job somewhere new, I get it. I was there. I promise you will find new parts of yourself you never thought were inside of you, friends that will keep you laughing all year long, and a magical place that you can’t help but think about every day. So leap! Apply for the job! Buy the crazy long bus ticket! Live with strangers! Explore a new place! The only thing you’ll regret is not doing so sooner.